The Office of the Inspector General released a report on May 8, 2015 detailing their findings from an analysis of 51 offices of the State Disability Determination Services (DDS) during fiscal year 2013. In this report, the OIG analyzed the average claims processing times at these 51 DDSs for both Social Security Disability Insurance (SSDI) and Supplemental Security Income (SSI). According to their findings, 44 of the 51 offices had processing times that ranged from 60 to 120 days for a determination. There were 7 offices that fell outside of this range. Florida and Idaho’s DDS offices had shorter processing times while California, Virginia, Nevada, Colorado, and Hawaii’s offices took longer to process claims. On behalf of our clients, along with members of two other Social Security Advocacy Groups, members of Premier went and met with two well-respected and influential national organizations: The National Committee to Preserve Social Security and Medicare and American Association for Justice to discuss the concern that is currently happening with Social Security benefits being threatened to be cut off and integrity of the system. May is observed nationwide as Mental Health Awareness month. During the month of May, various organizations and individuals work toward recognizing and promoting the importance of mental health. 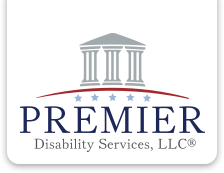 At Premier Disability Services, we plan to do our part to help further this noble cause. This month, our staff members are planning to walk in the 6th Annual 5K Walk for Mental Wellness taking place in Anoka, Minnesota.